We recently had the opportunity to check out a brand new picture book from Sterling Children's Books, Mirabel's Missing Valentines, and I'm excited to tell you what we thought! Mirabel's Missing Valentines is a 32 page long picture book for preschoolers and early elementary students about a mouse named Mirabel who drops her Valentines on the way to school, to the delight of those who find them. 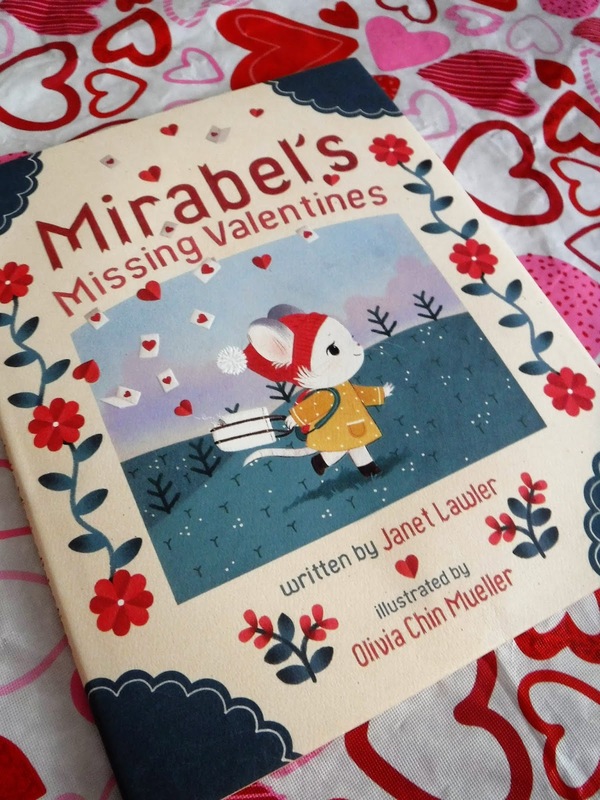 Mirabel's Missing Valentines is written by Janet Lawler, a prolific children's book author from Connecticut who loves nature (and writing of course!) You can find out more about Lawler and her works on her website or by following her on Facebook. Mirabel's Missing Valentines is illustrated by Olivia Chin Mueller, a Connecticut/Rhode Island based artist who enjoys sewing and felting when not making books adorable. You can find out more about Chin Mueller on her website or by following her twitter and Instagram feeds. We liked it! I love the adorable illustrations and thought the book had a sweet story that helps kids realize how much little acts of kindness can make a big impact on the lives of others. My 2 year old, 6 year old, and 9 year old all liked it; it was most age appropriate for the 6 year old, who is at a preschool level academically. He asked to read it several times in a row ad enjoyed finding the valentines on each page where Mirabel dropped them. There was definitely nothing objectionable in it for any age group. My 2 year old loved the pictures and my 9 year old liked the story, but thought it was definitely a PK-2nd grade book. If you are looking for a Valentine's Day themed book for kids, I think Mirabel's Missing Valentines is a great one. I would recommend it especially for 3-6 year olds. 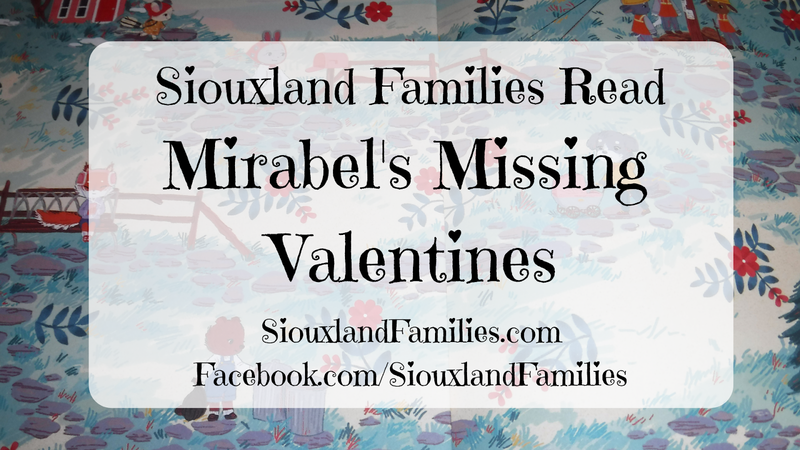 I received a free copy of the book Mirabel's Missing Valentines to review. Product links are affiliate links, which doesn't change your price but means if you choose to buy, I get a small % of the store's profits.